Get ready con goers because Legendary Television invites you to get lost at this year’s Comic-Con, because they are bringing two Lost in Space off-site events to downtown San Diego. Both will feature the “Robot” character from the reboot series seen on Netflix. On July 19-22 (10am-6pm), the Nerdist House at Sparks Gallery (530 Sixth Avenue) will house the “Robo Romance” experience which is a “free-to-fans interactive photo installation with ROBOT … participants can customize the setting of their photo meet up with ‘Robot,’ including a special romantic background for enamored fans.” There will also be free Lost in Space giveaways each day, yet space will be limited at this location. 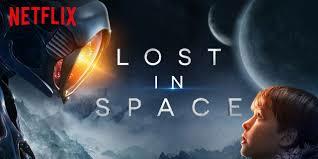 So, are you planning on doing these two Lost in Space events? Let us know by posting on the FoCC Forums.